What Do You Do With The Swim Platform? We have been considering what to do with the swim platform since we bought the boat. It is all teak and the previous owner had treated it with a hardware brand of deck stain, the type you would use around the house. They had coated all of the teak on the boat with it and we have removed and re-done everything but the swim platform. The Cetol we have used on all of the other teak would not be a good choice for this area. 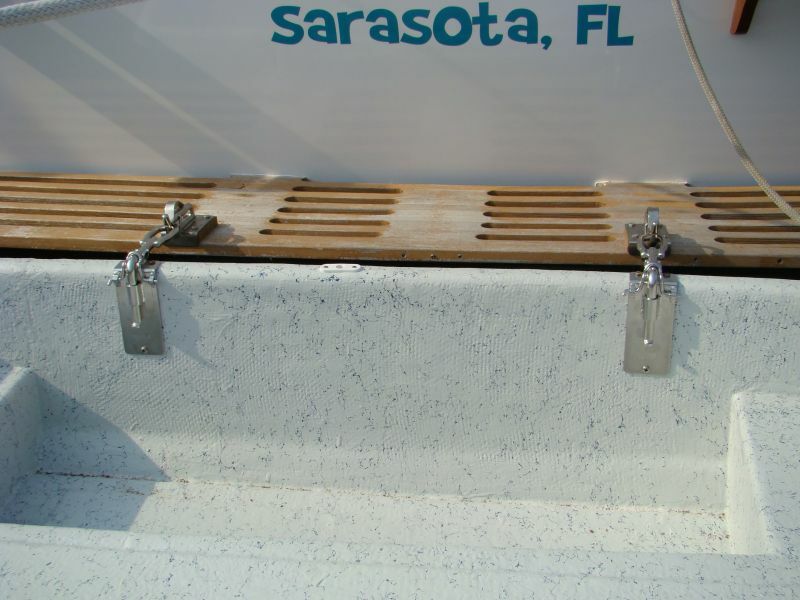 It probably would hold up okay, but this area gets wet when we are underway, and with the new dinghy mounted on it, something more durable would be required.